Should I enrol in Amazon KDP Select? Or to put it another way… as an author, is it worth having your ebook for sale on multiple sites, or going exclusive with Amazon’s KDP Select programme? This is the question I’m going to discuss today based on my recent experience with Knight of Aslath. Before launching Knight of Aslath in July this year, I had done quite a bit of research on what platforms would work best to sell the ebook. There are some schools of thought that say the more platforms your book is on, the more readers will find you and the more books you will sell. After all, not everyone buys on Amazon or owns a Kindle. We have a whole host of other book selling platforms out there including Apple iBooks, Kobo, Nook and Google Play. All have their own core of devotees, as well as some readers who probably hop around a bit and use more than one. Amazon however has an enticing programme called KDP Select. It provides better book royalties for some countries including (at the time of writing) Japan, Brazil, India and Mexico. It allows you to use Amazon’s pay per click advertising service (think of it like Google Adwords). You can make your book available for free on up to 5 KDP Select free days if you want to schedule free promotions. And most interestingly of all, allows you into the Kindle Unlimited Programme, which means Amazon Users who pay an annual subscription can get your book for free, but you still get paid depending on how much they read. So there are a few potential reasons worth considering. In return for these benefits, Amazon want an exclusive deal with your ebook – it can’t be available to purchase on any other site, including the author’s own website. That seems a potential deal breaker for any author wanting to reach the greatest number of readers possible, and initially was for me. You’ll notice the past tense, was. I’ll explain why. 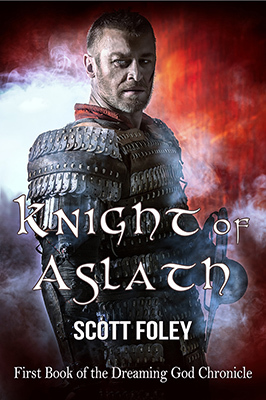 I decided the take the multi platform approach from the books launch, and to this point Knight of Aslath has been available on Amazon, Kobo, Apple iBooks and Nook. The results are very interesting. To date I have sold almost 15x as many ebooks on Amazon as I have on all the other platforms combined. Fifteen times?! That’s astonishing. Now it has to be said that Amazon doesn’t have a complete monopoly on ebook sales, but these figures made me scratch my head a little. Other than the obvious conclusion (more people buy ebooks on Amazon), what other causes might there be for this? True to a point. When the book launched I tried to promote Knight of Aslath across all the platforms it was available. However, numerically my tweets and other social media posts are a bit more Amazon heavy. Not 15x heavier though! This has been true in my experience. There are a number of sites which promote books across all the major platforms, but there are certainly a few, e.g. 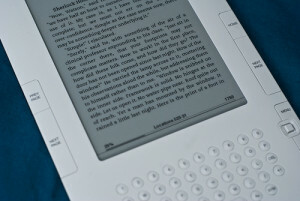 Kindle Nation Daily, which are all about Amazon / Kindle. Possible. I can’t speak for other author’s experiences with book launches, but it’s entirely possible I just have more readers on Kindle at this point. Controversial… I don’t know the answer here, but I do know that as an author I personally have more confidence in knowing how to make my book stand out on Amazon than other platforms. It’s more user friendly and I know there are interventions there should I want to try them, e.g. KDP Select, Kindle Unlimited. Contrast that for example with Kobo, where try as I might I have no specific avenues to help promote my book on their site. Kobo’s books recommendations are curated by their booksellers, and if I have an ebook pitched at a competitive price (e.g. £1.99) to gain traction with new readers unsure about a debut author, they are actually less likely to choose it as it makes Kobo less profit overall (source: this Creative Penn podcast). It might work for some, but for me doesn’t quite make sense at this moment. So what now? Stay multi platform or go exclusive? Almost two months in from the launch of Knight of Aslath, I’m thinking it’s time to try KDP Select. Sales are so much lower on the other platforms that my gut feeling is that they will be more than made up by additional sales and royalties through the Kindle Unlimited programme. I also heard a great podcast recently by Joanna Penn of the Creative Penn, where she suggested authors with a single book consider exclusivity to build that initial audience, and branch out to other platforms later. So I’m going to take that advice for now and see what happens. The KDP Select programme is for a 90 day term initially, so depending on the results I may stay with it, or go back to multi platform. I’ll post my findings on this blog. Don’t worry, your book won’t go anywhere, it’s yours. Consider this an experiment which may get reversed after the next 90 days. The better Knight of Aslath does overall, the more able I will be to keep writing and releasing the rest of the Chronicle of the Dreaming God. And even if I do stay on Amazon / Kindle for the medium term, you don’t even need to buy a Kindle. You can still get a kindle reading app on any mobile device for free – in fact that’s how I read most books these days, whether on my Android phone or iPad. I will post the results of the KDP Select experiment after the 90 day period finishes, so watch this space! All content © copyright Scott Foley 2015, or used with kind permission/under terms of fair use.